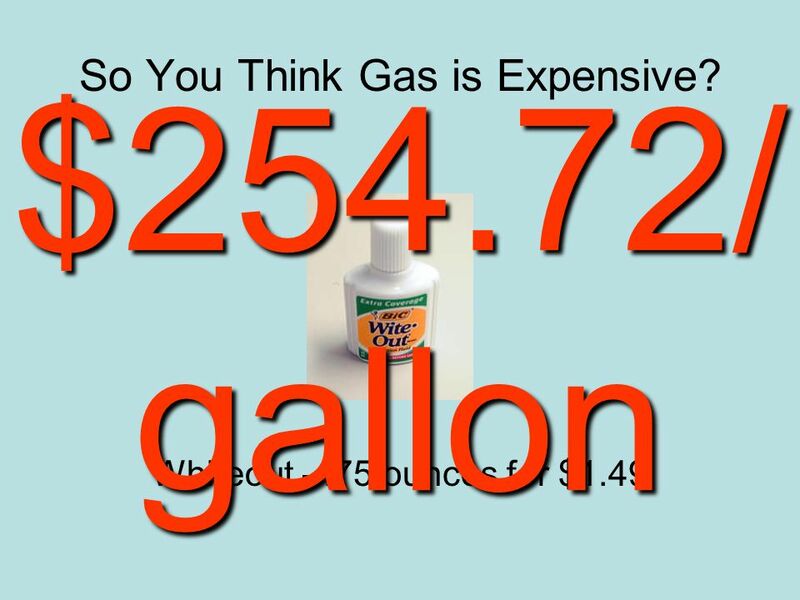 So You Think Gas is Expensive? How many times have you heard your parents say this? 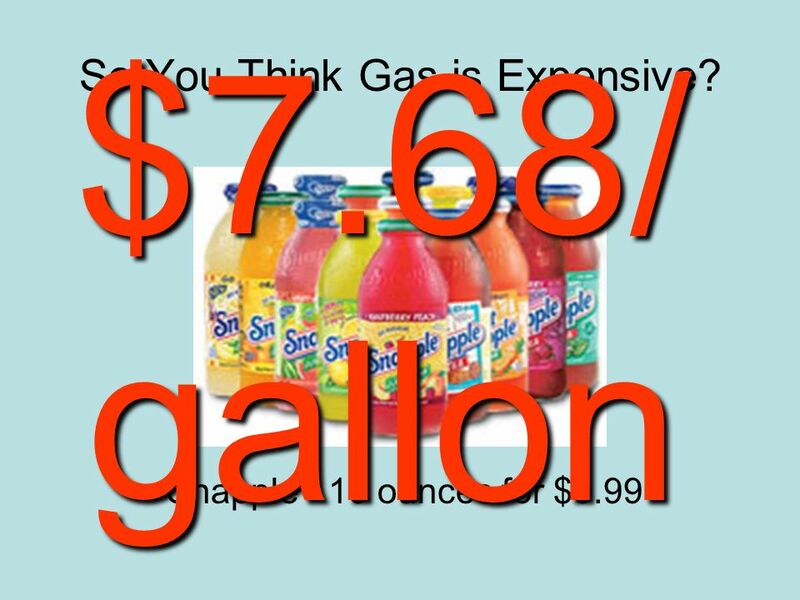 If gas prices keep rising we may have to sell the car and walk everywhere! 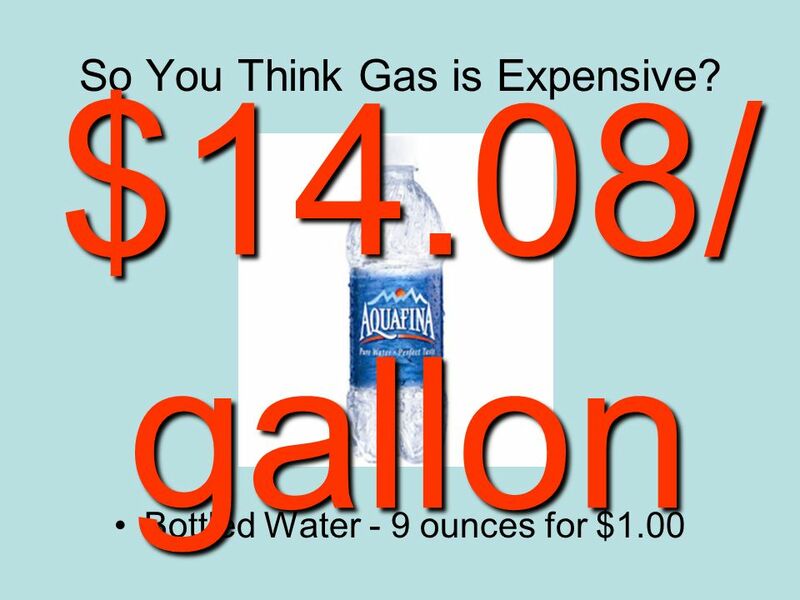 1 So You Think Gas is Expensive? How many times have you heard your parents say this? 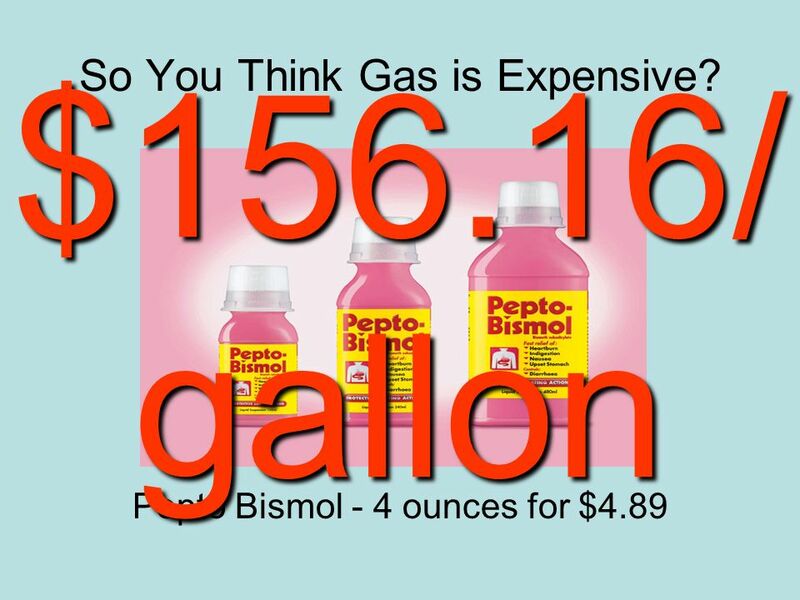 If gas prices keep rising we may have to sell the car and walk everywhere! 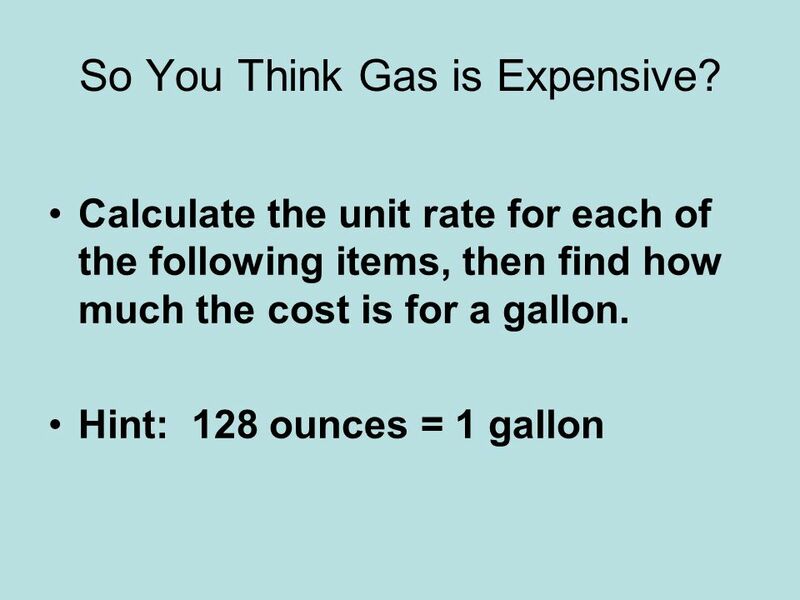 2 So You Think Gas is Expensive? 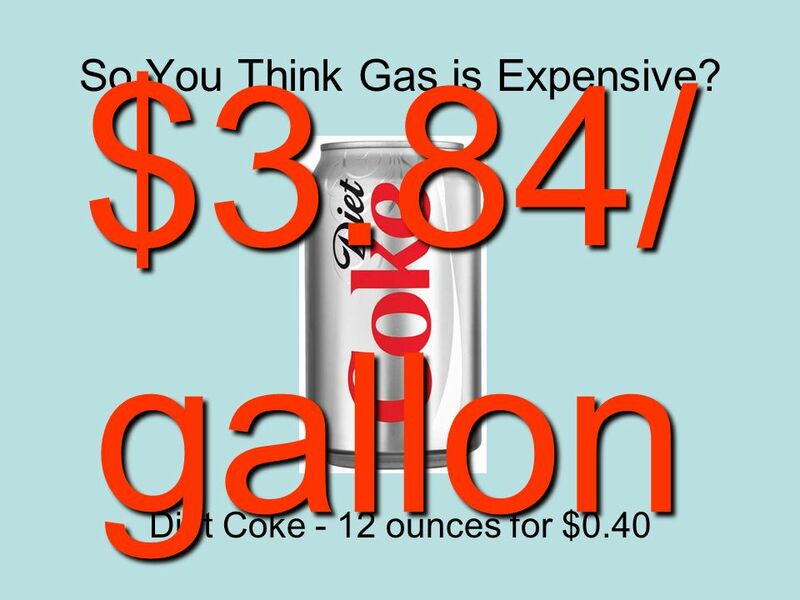 What if you could run your car off of something else? 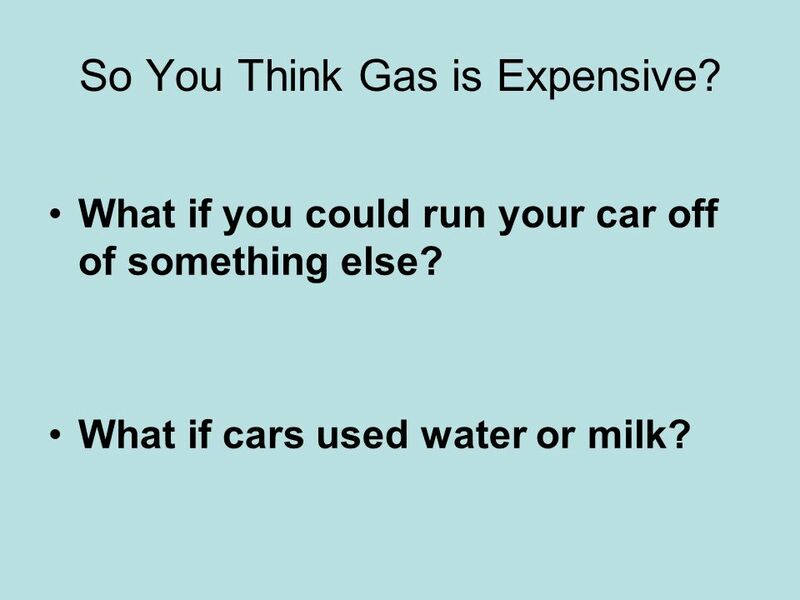 What if cars used water or milk? 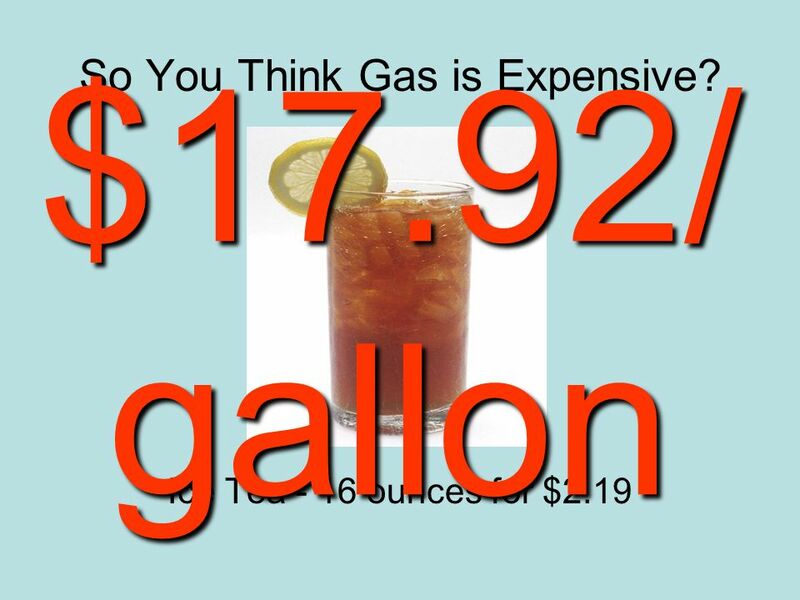 16 So You Think Gas is Expensive? 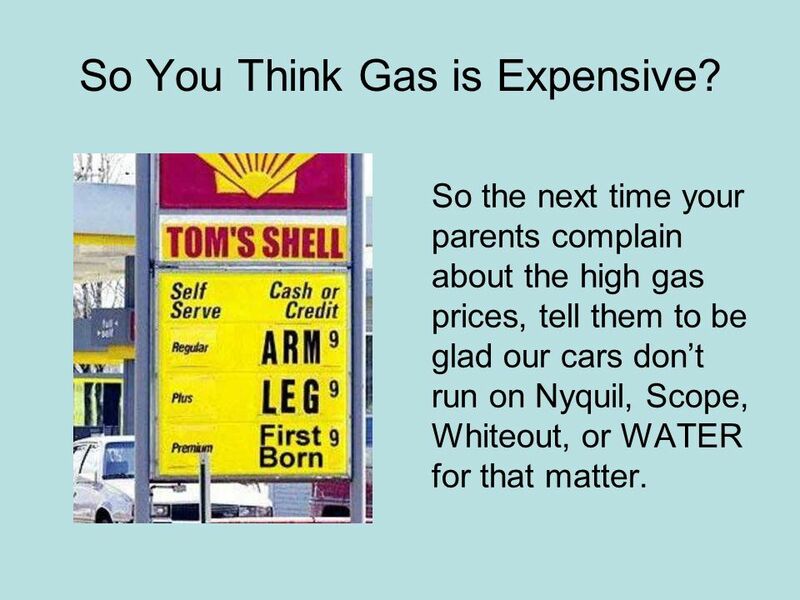 So the next time your parents complain about the high gas prices, tell them to be glad our cars dont run on Nyquil, Scope, Whiteout, or WATER for that matter. 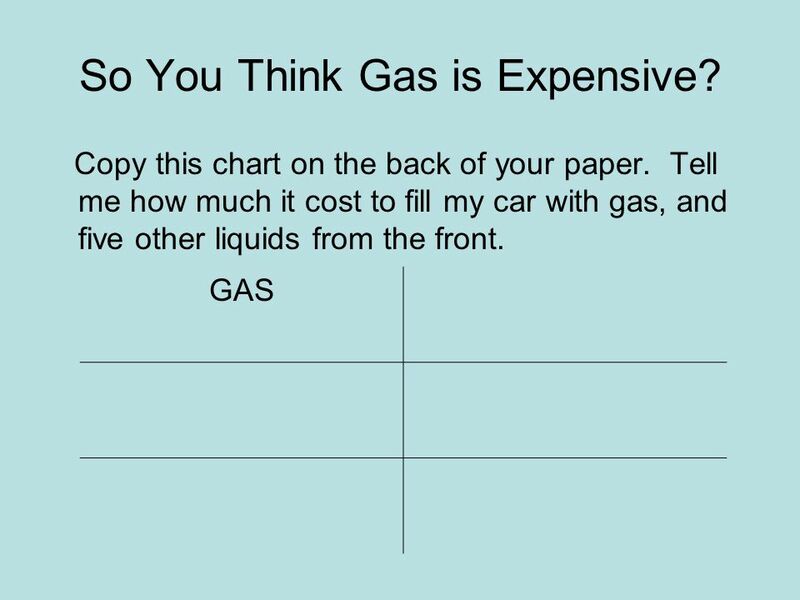 Download ppt "So You Think Gas is Expensive? How many times have you heard your parents say this? 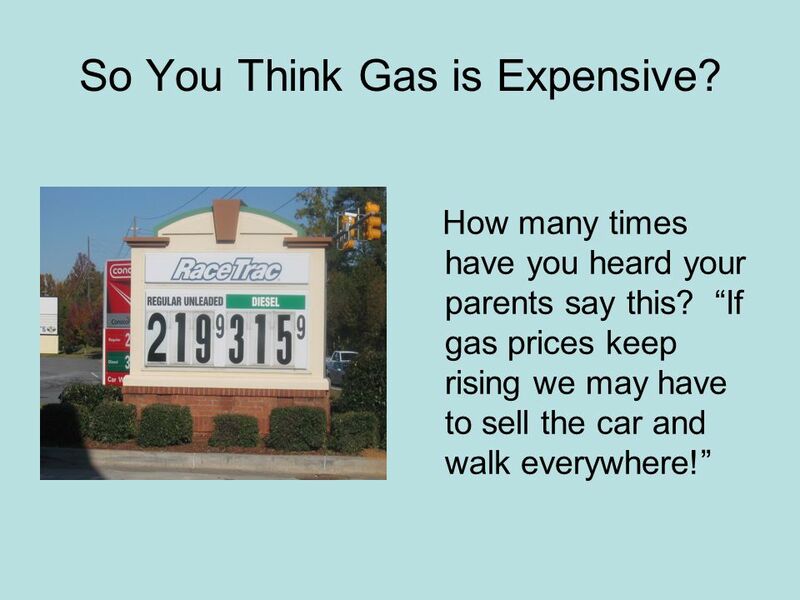 If gas prices keep rising we may have to sell the car and walk everywhere!" 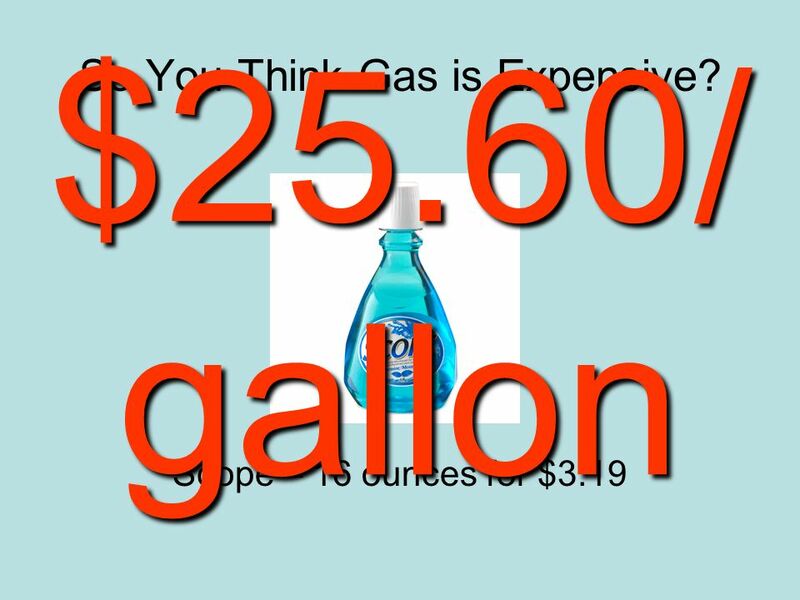 Which size shampoo has the lowest unit cost? 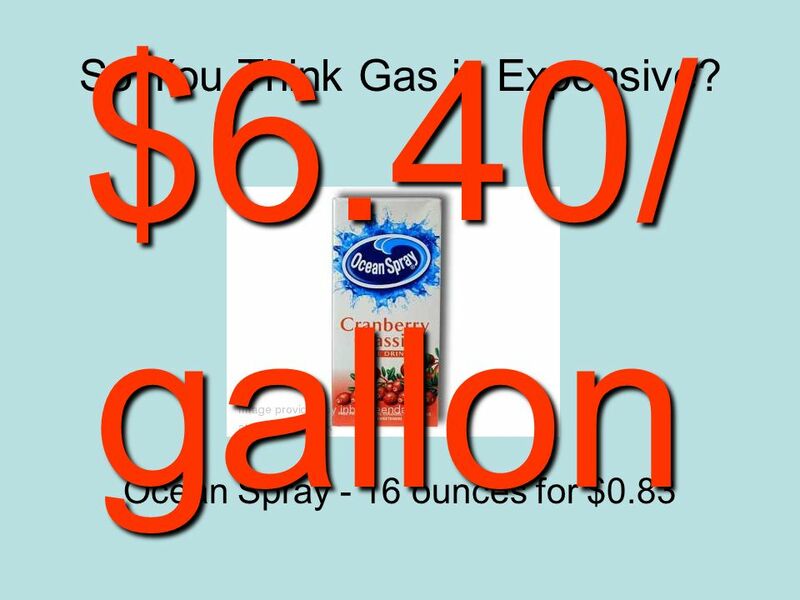 1) 2) 3) ShampooCost 24 oz$ oz$ oz$3.29. 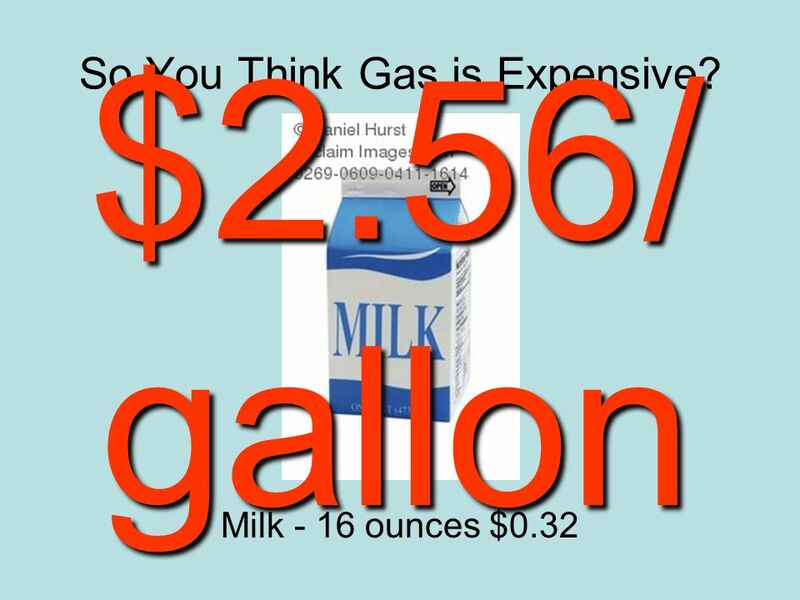 So You Think Gas is Expensive? 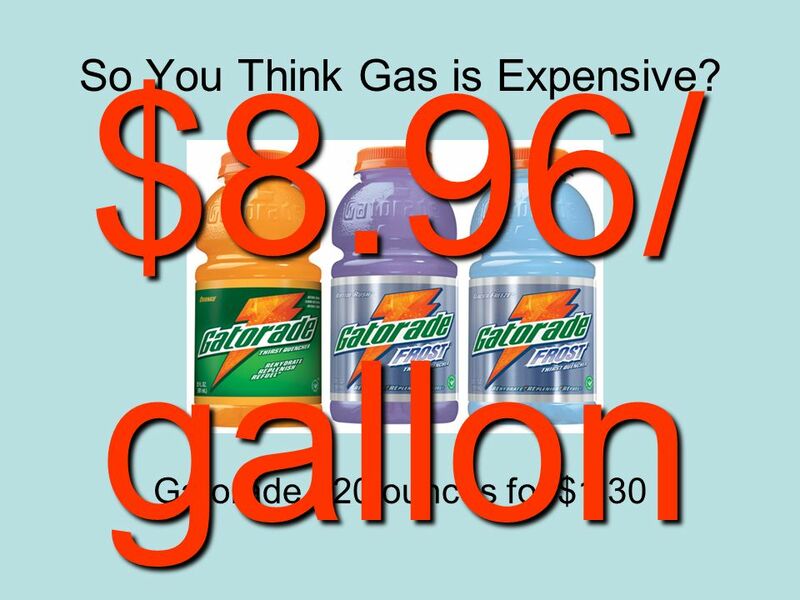 How many times have you heard your parents complain about the price of gas? 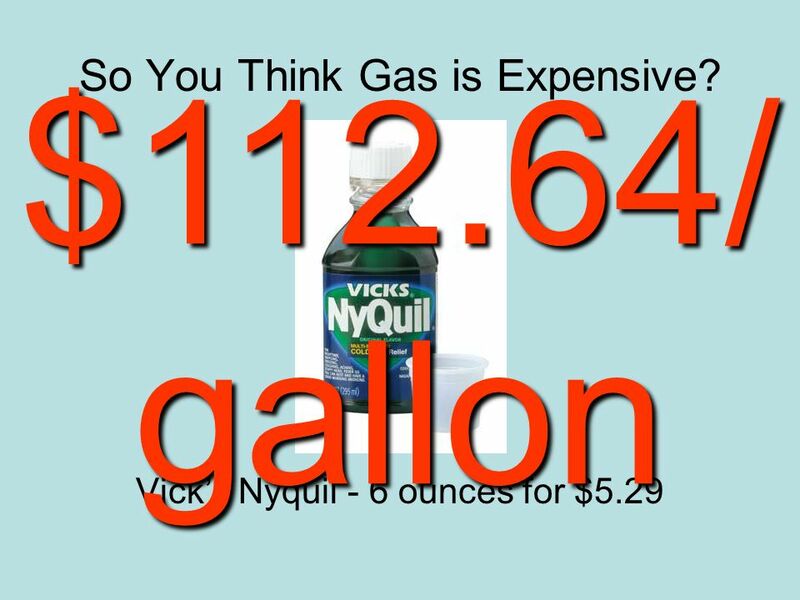 If gas prices keep rising we may have to sell.